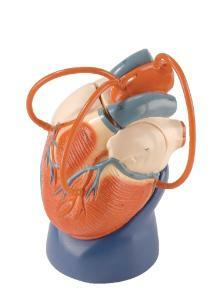 Infinitely more resilient than the human heart, this durable vinyl heart model will survive years of student use. Vibrant hand painted colors permanently bond with the vinyl model, and are guaranteed to not chip, crack, fade, peel or transfer. Model divides into anterior and posterior sections to access the pumping chambers and valves. 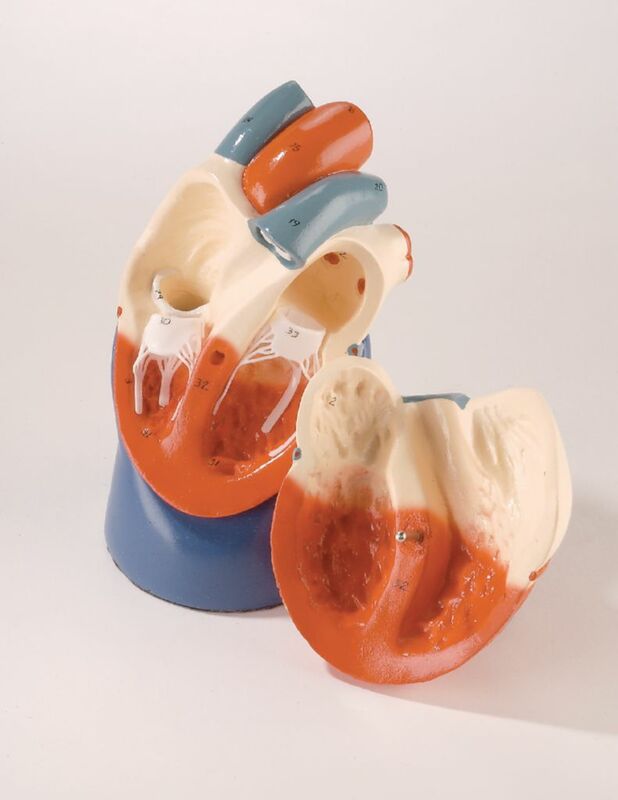 Vessels are also color-coded red or blue to indicate whether they carry oxygenated or deoxygenated blood. Over thirty significant cardiac features are hand numbered for quick identification in the accompanying key. 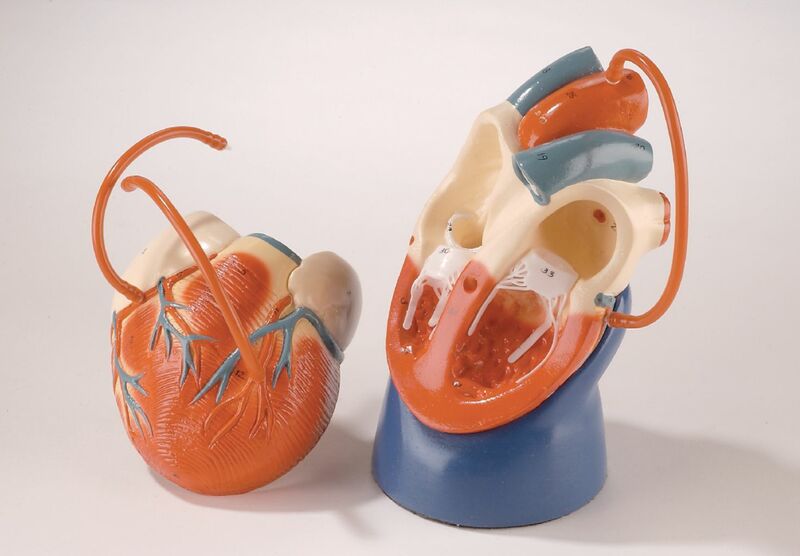 The version of Heart with Bypass is fitted with detachable/re-attachable bypass vessels for demonstrating single, double, and triple coronary bypass grafts. 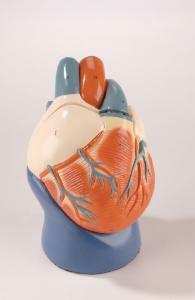 Nesting on a form-fitting display base, the heart lifts off for hands-on observation and study. Size: 6"L x 4"W x4"D.